Looking towards Huntingstile Crag from the slopes above Elterwater. 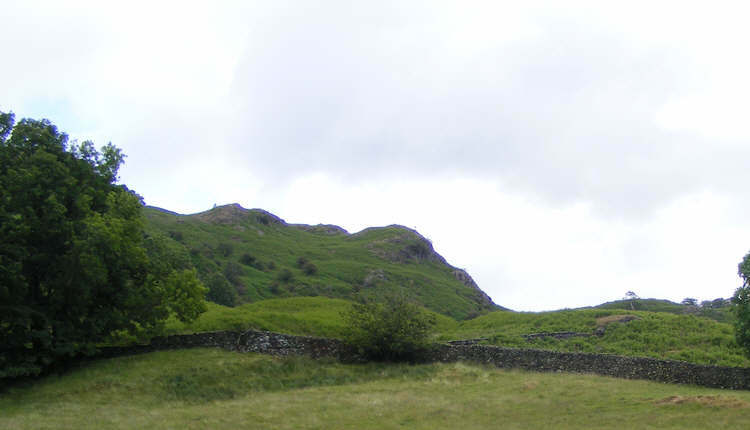 This crag marks the eastern end of the long ridge the runs along the northern side of Great Langdale, heading up to Sergeant Man and the Langdale Pikes. The footpath that runs up the ridge climbs up to the right of the crag, then turns left to climb up behind these rocks.